Found only 14 miles from Downtown Orlando, Winter Garden is a city of about 38,750 residents. It’s located in Orange County and a part of the Orlando Metro area, which is home to about 2.2 million residents. The metro area is also one of the largest tourist locations in the world attracting over 50 million visitors every single year. Every year the roads become crowded with visitors unfamiliar with the area. This makes for very dangerous roads and very busy highways. The Orlando Metro area is home to attractions, such as Universal Studios, Disney World and Sea World. It's also known as the Capital of Golf and many huge events are held within the area every year. The attractions and events draw more than 50 million visitors every year adding to the large population of the area. Many visitors use Interstate 4 and Florida's Turnpike to access the area. The I-4 section found in Florida is rated as the third most deadly highway in America. An average year in Orange County includes about 15,000 traffic accidents with more than 150 fatalities. Traffic accidents in the metro area are on the rise. Authorities throughout the area have no choice but to issue tickets and monitor the roads. If they didn't the accident stats would be out of control. Law enforcement in Orange County handed out more than 190,000 traffic tickets in 2015. Out of these tickets about 60,000 were given to drivers caught speeding. Another 43,000+ were caught by a red light camera as they ran a red light. The number one reason for car accidents in Florida is careless driving. Orange County ticket stats for 2015 included 16,821 drivers ticketed for careless driving. Getting your ticket dismissed is nearly impossible. Judges only dismissed about 11% of the total tickets issued in Orange County. Racking up 12 points can happen in a hurry, especially if you get more than one ticket from just one stop. After you pay the fine associated with your ticket, you can take the basic driver improvement course to eliminate points. Make sure you inform the clerk of the court you wish to enroll in traffic school. Then, complete the course online from your home and get your certificate of completion. This needs to be turned into the clerk of the court. If you follow these steps, you will avoid points on your license and keep your insurance rates from going up. Many drivers don't realize they are eligible for traffic school because they used it with the first ticket they ever received. 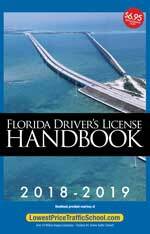 In Florida, you're allowed to take the basic driver improvement course up to five times. However, you can only take it once every 12 months. If you haven't taken the course in 12 months or a total of five times, you're eligible. All tickets issued in Winter Garden, Florida are processed by the Orange County Clerk of the Court. 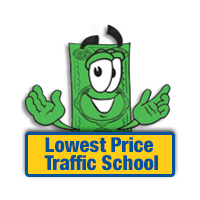 The clerk will handle your payment and take care of your traffic school certificate of completion. Get more information about the Orange County Clerk of the Court by visiting their website.